IRISH TAX OFFICIALS are looking at files linked to the Luxleaks scandal to work out any implications for companies’ local dealings. It comes after the latest raft of leaked documents implicated more household names, like the Walt Disney Company and Microsoft, in siphoning their profits through Luxembourg to slice their tax bills. Several of the companies featured in the leaks over the past month have significant operations or subsidiaries in Ireland, including Kilkenny-based global food player Glanbia and the Microsoft-owned Skype. The tax deals, while legally-approved in the tiny duchy, allowed many firms to pass billions in profits through the country while paying a pittance in tax. The latest documents published by the International Consortium of Investigative Journalists (ICIJ) revealed Disney paid less than 1% tax on profits of over €1 billion funnelled through Luxembourg. 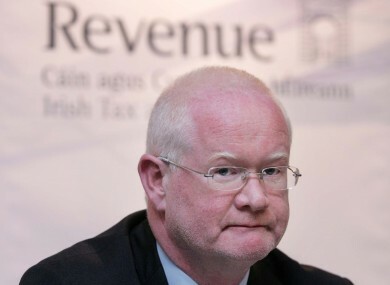 A Revenue spokeswoman said officials were currently looking at material on the ICIJ’s website to “identify interactions with the Irish tax base”. At this point we have not sought material directly from the Luxembourg tax authorities— but we will not hesitate to do so if necessary,” she said. European Commission President Jean-Claude Juncker, who was Luxembourg’s prime minister when many of the advance-ruling tax arrangements were struck, has been under pressure after the first ream of leaked documents were published last month. But yesterday he hinted the scandal was being used to damage his personal standing as he again denied any personal involvement in the tax deals with multinationals. Juncker said tackling tax avoidance had been one of his key promises before taking the presidency and he would push ahead with plans for tax harmonisation across Europe. Email “Revenue is looking for Luxleaks links to Irish tax dodging”. Feedback on “Revenue is looking for Luxleaks links to Irish tax dodging”.